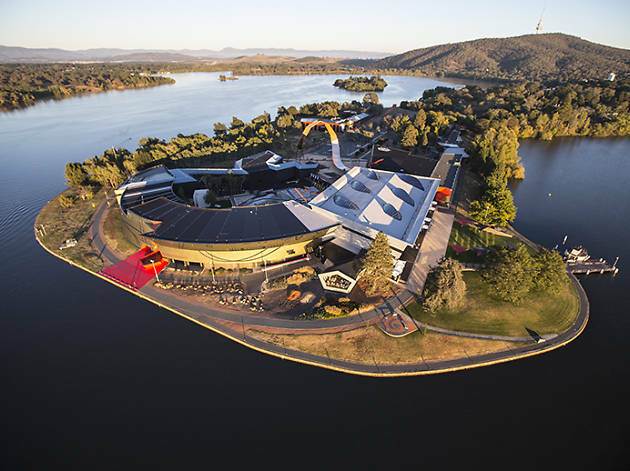 The striking loops and twists of the National Museum of Australia’s exterior – designed by Howard Raggatt – has been one of the signature features of the Canberra skyline since the institution opened in 2001. 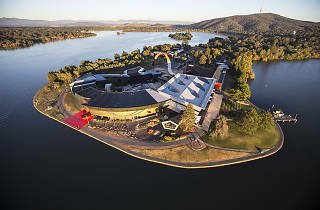 Exploring Australia’s legacy, from Aboriginal and Torres Strait Islander history and culture through colonisation and up to the present day, the museum’s diverse permanent collection includes beautiful examples of Indigenous art, textiles and even a modern reconstruction of a 19th century bark canoe from Tasmania. Other notable objects include Phar Lap’s heart (which weighs over six kilograms); several antiquated vehicles, including a portable steam engine; and a number of thylacine specimens. The museum’s key areas of focus are Indigenous history, Australian history post European arrival, and the relationship between the people of Australia and the environment. The museum’s permanent collection is free to visit and the venue also plays host to temporary, themed exhibitions – usually ticketed – alongside events and workshops.